Provigil refers to the class of drugs that are usually called “smart drugs” or neurometabolic stimulants. It is believed that such pharmaceutical preparations can significantly improve memory functions and concentration, and also have a stimulating effect on the nervous system, allowing them to increase patients’ efficiency and reduce their need for sleep. Appointments Within 24 Hours & Bilingual Staff Available! We Provide Preventive and Palliative foot care. If you have diabetes, take care of your feet and the rest of your body. People with diabetes can develop serious problems with their feet that can affect how easily they can walk, and can even lead to amputation. At Thomas Podiatry we have the experience to treat all of the common foot deformities to include: Bunions, Hammertoe, Clawed Toe, Flatfeet, Neuromas and Plantar Warts just to name a few. When you are playing a sport and suddenly injure your foot or ankle, we are here to help. Our Podiatric Physicians can every injury from simple Ingrown Toenails to complicated Ankle Fractures. Our services, whether preventive care or corrective surgery, have earned the practice excellent recognition and steady growth for the past decade. 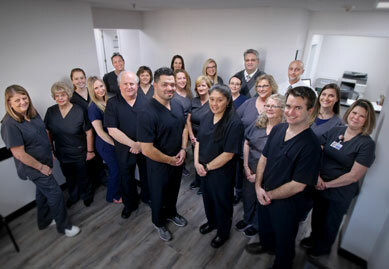 At Thomas Podiatry & Associates, we believe that a doctor and patient become a team for treating an individual’s feet. Our physicians spend most of their time listening in order to understand your concerns and responding with the best treatment options for you.